By hugging the tooth, CariVu’s transillumination technology makes the enamel appear transparent while porous lesions trap and absorb the light. This unique caries detector allows the clinician to see through the tooth exposing its structure and the actual structure of any carious lesions with very high accuracy. Similar in appearance, DEXIS CariVu images read like familiar X-ray images — lesions will appear as dark areas. 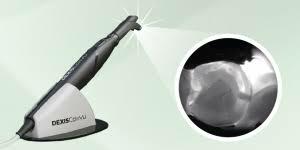 Think of digital X-ray and CariVu as ultimate companion tools for caries detection. 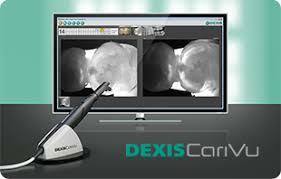 For more information on Cari-Vu, go to Dexis websit: http://www.dexis.com/carivu.